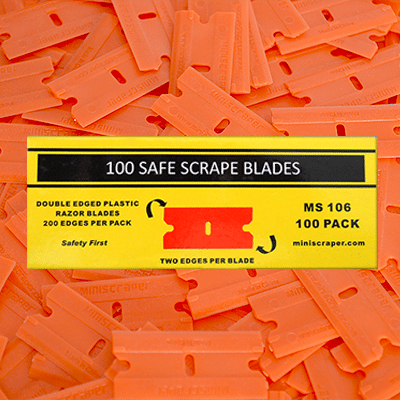 Safe Scrape™ double-edged plastic orange Delrin® blades – Special Offer. 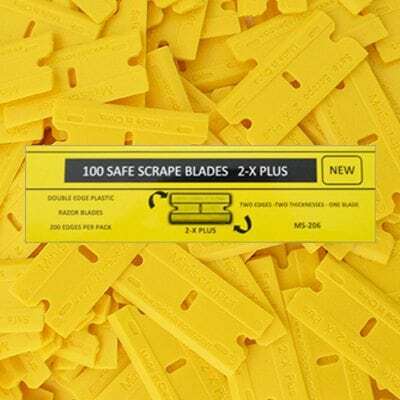 2 packs of 25 blades that are packaged in a blister card for retail sales or immediate use. 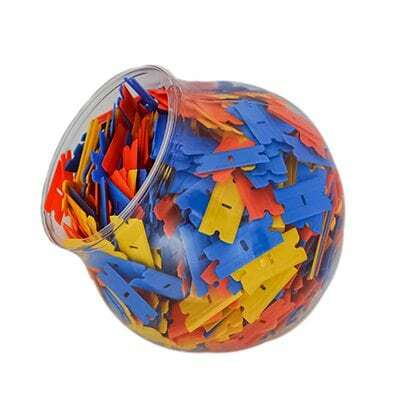 100 edges! Delrin® blades have natural lubricity, high rigidity, and mechanical strength. Long-term fatigue resistance when used in repeated impact and are highly resistant to moisture.